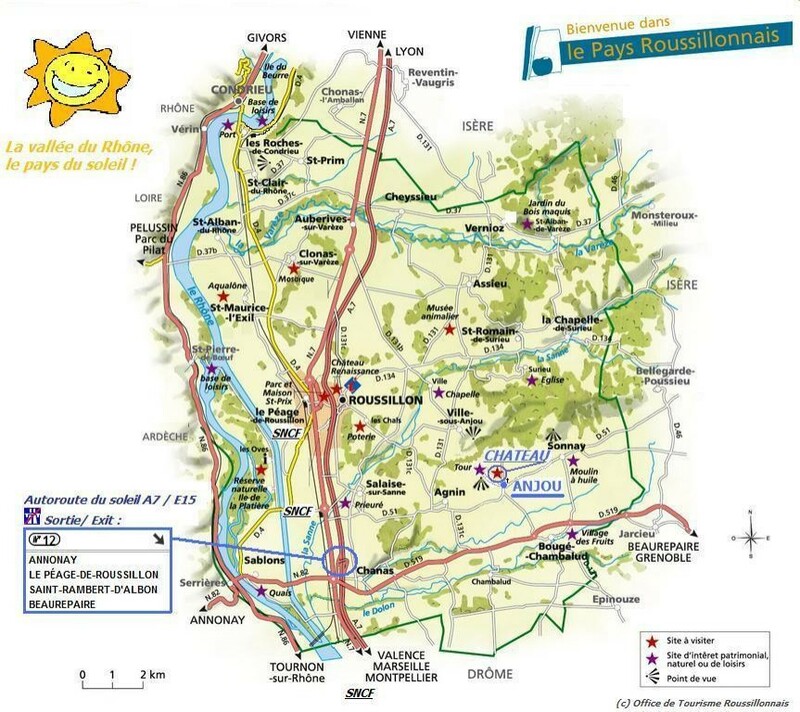 et des gares TGV de Lyon ou Valence. 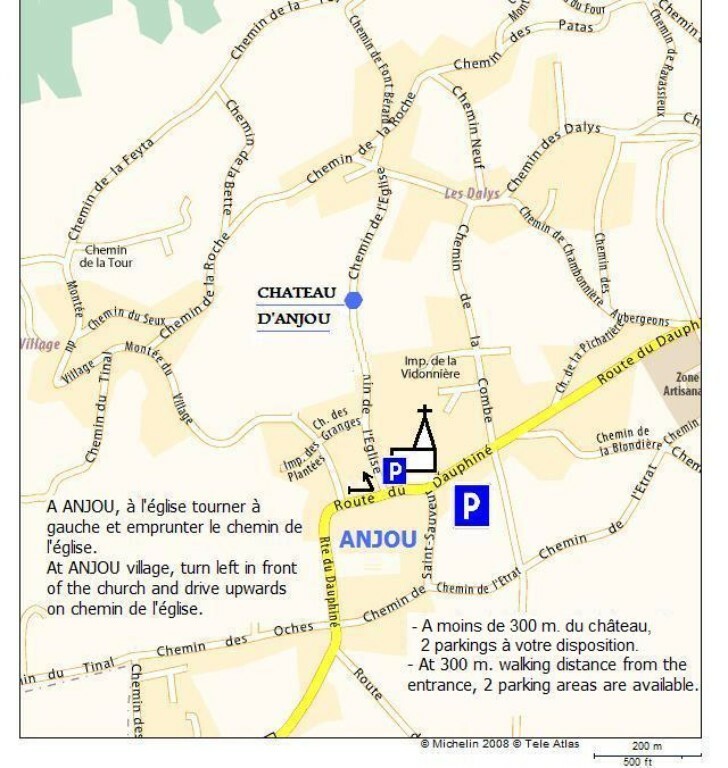 The small parking area at the Château d'Anjou is reserved, during the visit, for the disabled persons with parking permit and for our guests ( B & B, private parties...). Visitors are kindly invited to park in front of the church or the town hall. The Château d'Anjou entrance is located 300 meters away from the church. Parking is not allowed in the chemin de l'église.